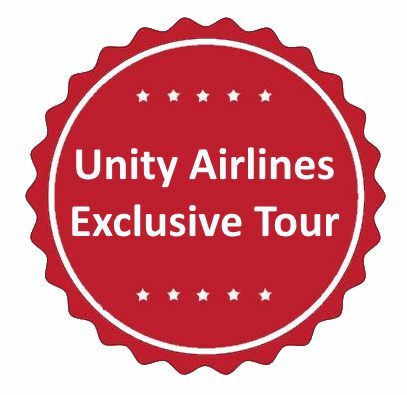 Let Unity Airlines take you to sensational Espiritu Santo, named by De Quiros in 1606 when he was on his voyage of discovery in an attempt to find a mysterious southern island, which we now know as Australia. Much of Santo remains little changed over the centuries, with many hundreds of hectares of near virgin jungle. During World War II Santo’s capital town of Luganville was established and was the site for over a 100,000 American troops. James Michener lived on Santo when he was inspired to write his classic Tales of the South Pacific. Many of the buildings in the island’s only town, Luganville, are old Quonset huts, with fences of upright Marsden matting rusting away under dense decorative vines. Many local villages, some hidden in the unmarked jungle, still live traditional lifestyles preferring to maintain their traditional practices while ﻿slowly ﻿adopting modern conveniences such as solar power and mobile phones. The beauty of Santo is unmatched for travellers. The newly constructed tar-sealed road running along the east coast of Santo offers travellers the ease of finding many of Santo’s best adventures just steps from the road. Jewel-like islands laying just a few hundred metres from coconut fringed beaches of powdery white sand at Champagne Beach. 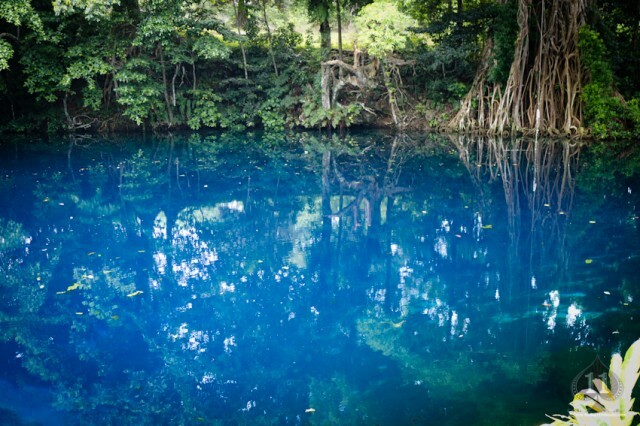 Amazing blue holes (cool fresh water pools) at Matevulu sit ready for a refreshing swim and have been a popular stop for visitors since the days when movie stars toured during WWII. 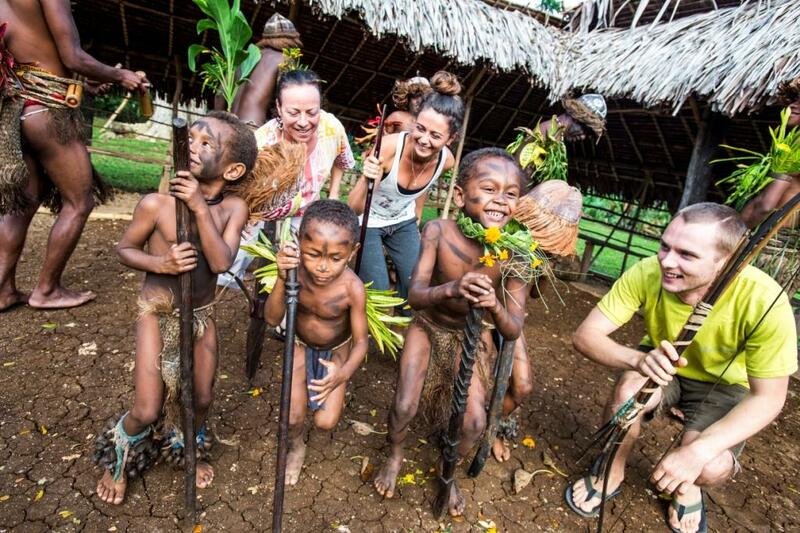 Enjoy rare cultural performances from Northern Vanuatu in Leweton cultural village. 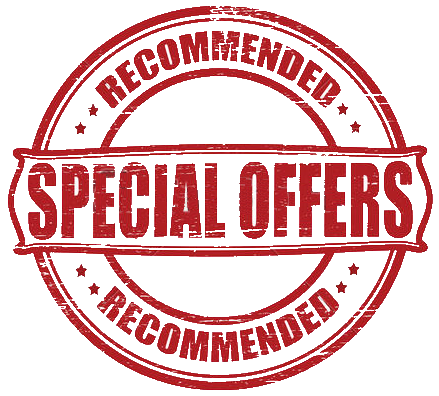 We have chosen the best Santo has to offer and combined the activities into a sensational day tour just for you! Only 10 minutes from Luganville, the village settlement is from a combination of islands in the Banks region (Northern Vanuatu). Be welcomed to the village, experience their traditional men's powerful dancing to a bamboo beat, wearing coconut husk head dress. Woman and children's traditional dancing will also be shown, as will fire making, food preparation and tasting. Witness the woman's unique water music - played by their hands striking water. Experience one of the most magnificent beaches in the South Pacific. Champaign beach is one of the few places left where you can have the beach all to yourself, snorkel and see an abundance of coral, tropical fish, and maybe even a sea turtle. 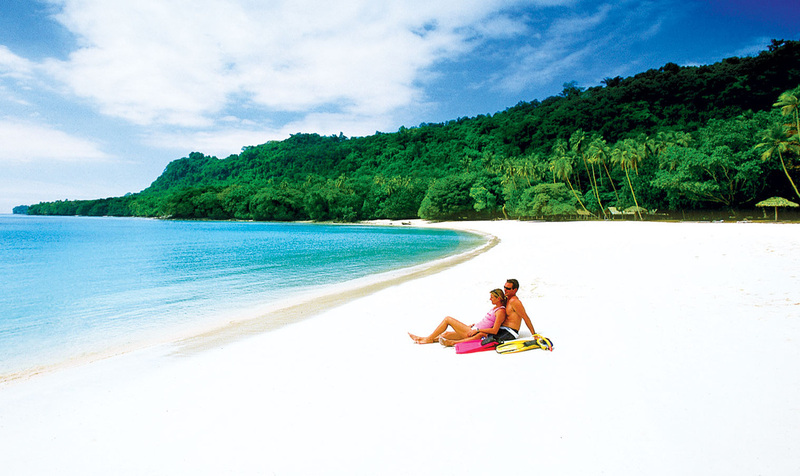 Champagne Beach boasts a crescent moon shaped powdery white pristine sand beach, lined with coconut palms. Freshwater springs bubble into the ocean at low tide giving rise to its name. The lagoon is backed by a densely packed jungle covered mountain range reaching 1700 meters where you’ll have a great view of the ocean on your drive down the hill. A view that will take your breath away! During the 45 minutes drive from Luganville to the beach you will have glimpses of the multi-coloured blue ocean, pass by jungles edging towards the road, coconut plantations, small villages and more! On the way back from Champagne Beach enjoy the magic of Matevulu Blue Hole. The cold fresh water will refresh you after a hot day of fun filled adventures. Just a few minutes off the main road, part of the drive is on an abandoned WWII airstrip. Walking down a few steps gives easy access to the water. The more adventurous can swim across to the far side, climb a large banyan tree and swing on the rope tied to one of the branches. Matevulu’s crystal clear waters, singing birds and gentle breeze will remind you of nature’s true beauty.